Our range of products include oxidation oven, bakery oven, baking oven, electric oven, tunnel type oven and brake shoe curing oven. 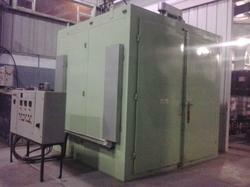 A Oxidation Oven is a chamber that is used for carbon fiber processing. These are specifically designed and fabricated to meet the demands of different industries. 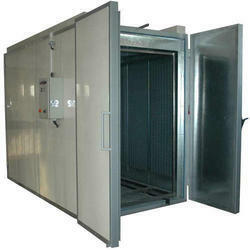 Its design eliminates the direct process of chamber exhaustion which significantly improves energy efficiency. With the help of our skilled engineers and technicians, we are engaged in offering a premium quality range of Bakery Oven. 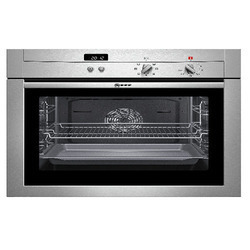 Designed in conformation with international quality standards, the oven made available by us ensure even heating. Clients can avail trays in varied sizes and other accessories along with these bakery ovens. Clients can available us optimum quality Baking/Food Processing Ovens from us that are made available in single, double and triple deck designs. 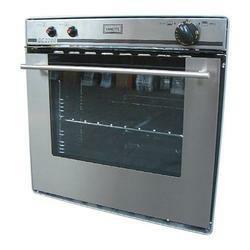 The ovens offered in this range cater primarily to the food & beverage industry. 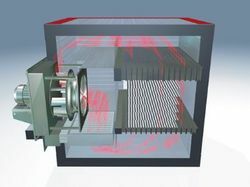 Effective circulation of air in these ovens is facilitated by a blower, thereby, ensuring uniform temperature in the chamber. Further, the fully counter-balanced door provided in the oven can stop in any position. We are also leading names in the field of offering precision designed and optimum functionality based Electrical Ovens and Industrial Electric Ovens. 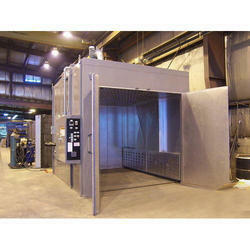 These industrial electrical ovens are fabricated on angle iron structure and come properly reinforced. Further, the outer and inner wall is made up of thick mild steel sheet and the outer surface is painted with silver gray hammer tone and the inner surface with high-temperature aluminum paints to ensure durable service life standards. The two walls of ovens are also insulated with rock-wool to ensure optimum functionality standards. We are also one of the leading names in the field of Tunnel Ovens, Tunnel Type Ovens that come precision designed for successfully handling the requirements of low and high-temperature drying. We offer Brake Shoe Curing Oven and Enamel Paint PU Paint Oven, that are used for the host of industrial applications, which includes lacer coating, powder coating, Teflon coating, paint baking, PVC curing, varnish baking and all types of the paint shop. These precision engineered ovens are manufactured in compliance with set industrial quality standards and are known for durability, precision design, and functionality. These can be checked on quality parameters before end delivery. We are a leading name in offering the comprehensive range of gas fire ovens. These find usage in diverse industrial applications and can be effectively utilized for processes like paint baking, powder coating, drying and other uses. Here, our expertise also lies in offering these ovens as per specific requirements of the clients. As these ovens basically operate on gas fuel, these are highly cost-effective as compared to electrical ovens. Further, the air circulation within these is done using the bottom blower to top that helps in maintaining a uniform temperature in the chamber. We have on offer a reliable range of LPG Ovens that are provided with four high-pressure burners. Made out of best grade stainless steel and cast iron, these ovens have a corrosion & abrasion resistant surface finish. 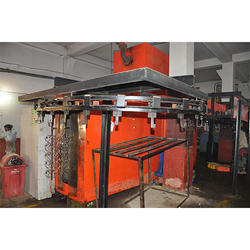 Industry defined safety parameters have been followed while designing & fabricating these ovens. Moreover, the ovens are tested & quality approved prior to their dispatch to the market. 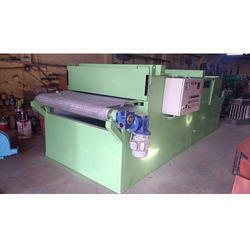 As these curing ovens are constructed from double walled CRCA sheet featuring energy saving insulation, these are well recognized in the market for matching up with the expectations of the customers. 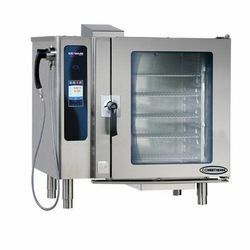 We are engaged in offering commercial Bread Ovens that are widely appreciated for easy and safe operations. 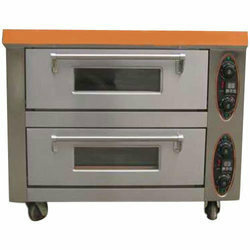 These ovens are extensively utilized for baking bread in large quantities. Manufactured using certified steel, the bread ovens offered by us have a corrosion resistant surface finish. Our ovens are easy to install and have a hassle-free long functional life. 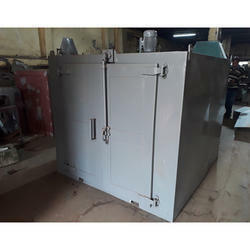 Denim Curing Oven offered by us are especially designed & developed to suit the specific application requirements of various industries. Our ovens are demanded for curing material such as painted components, chemicals, food and automobile ancillaries, among others. These products are made available in multiple configurations, and are in sync with the set industrial standards. Our clients can avail from us an exclusive range of Oil/Diesel Fired Ovens that is provided with an Eco-flame burner, heat exchanger, blower with standard motor and automatic digital temp control system. These ovens offered by us has high-class insulation of ceramic wool. 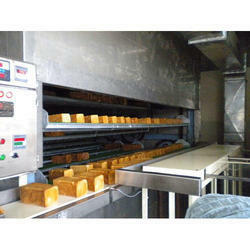 The Tunnel Type Oven offered by us is designed to be used with a wide variety of existing conveyor systems. In this range, we can provide electric, gas and steam heated units with varied operating temperatures. Adjustable silhouette dampers provided at the oven end help in minimizing heat loss. Each oven is designed for specific application requirement of any industry, and can include multiple heat zones as well as a cooling zone. Utilizing advanced technology and graded components, we design & develop our Electric Ovens/Dryers. TQM policies incorporated by us in the production process help us ensure our oven's compliance with industry laid standards. Offered in both standard and customized forms, our electric ovens are extensively utilized in various industrial applications. 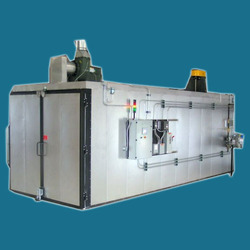 Batch Type Oven/Dryer supplied by us are especially designed with the aid of a team of engineers, and successfully cater to the requirements of various industries. We are able to manufacture these ovens in various sizes, capacities and other specifications. Quality-tested steel utilized in the fabrication process ensures our batch type oven's corrosion resistance and long functional life. Clients can avail from us optimum quality Baking/Food Processing Ovens from us that are made available in single, double and triple deck designs. 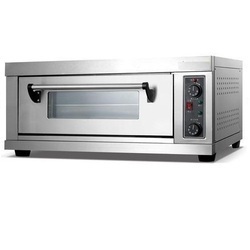 The ovens offered in this range cater primarily to the food & beverage industry. 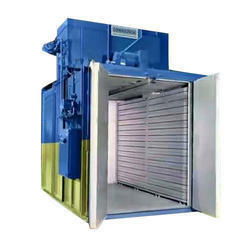 Effective circulation of air in these ovens is facilitated by a blower, thereby, ensuring uniform temperature in the chamber. Further, the fully counter-balanced door provided in the oven can stop in any position. 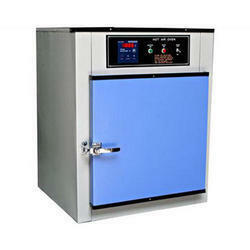 Hot Air Oven / Dryer are electrical devices used in sterilization. The oven uses dry heat to sterilize articles. Generally, they can be operated from 50 to 300 °C. There is a thermostat controlling the temperature. These are digitally controlled to maintain the temperature. 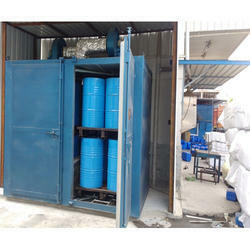 Chamber Capacity 100 liters to 8000 liters. Airflow Insulation Laminar airflow provided with suitable capacity of fan motor and impeller for uniform distribution of temperature in the work space. 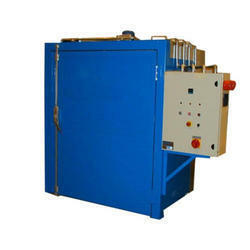 Heating System Suitable capacity of 'U' type Racold make air heaters provided with non-corrosive SS rods. Door Single door with suitable locking arrangements. Gasket Double lined Leak-proof silicon gasket. Ventilator Ventilator provided for fume exhausting. Safety Over temperature safety cut-off thermostat.